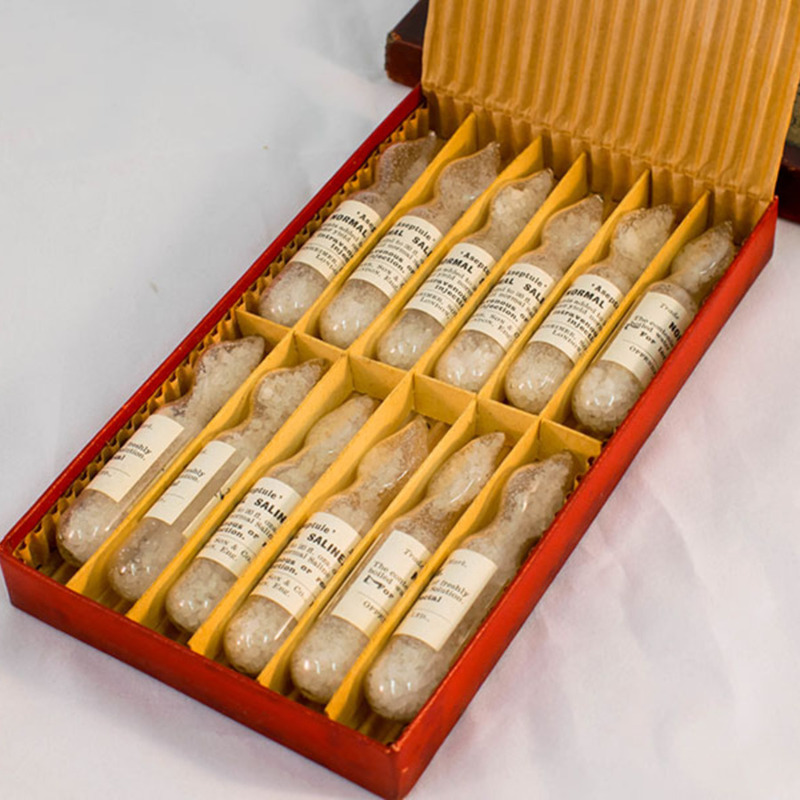 Red fitted cardboard box containing twelve sealed glass ampoules for marking up Normal saline. 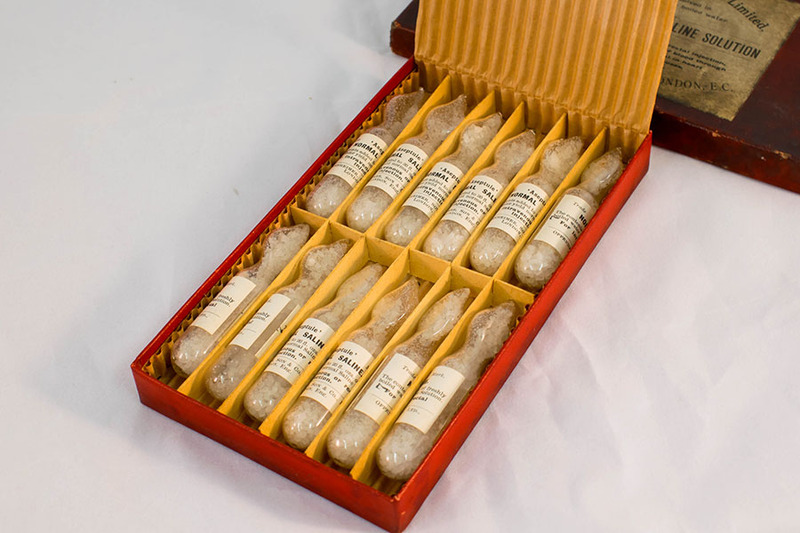 Each ampoule is labelled and in a separate compartment. 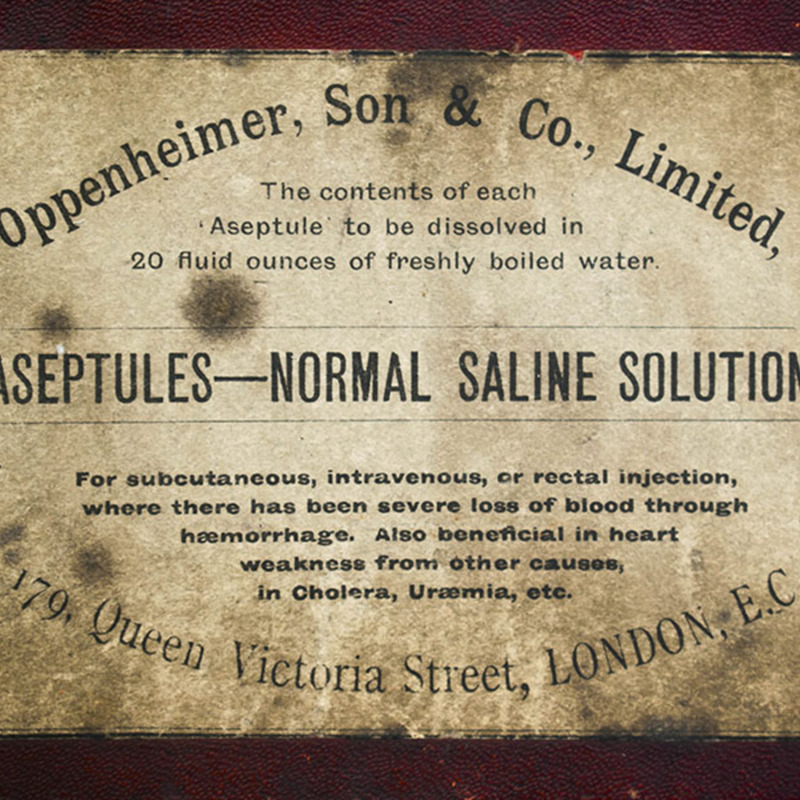 Oppenheimer Son & Co., Ltd.
Oppenheimer Son & Co., Ltd. , “Box of Aseptules Saline Solution,” Heritage, accessed April 20, 2019, https://heritage.rcpsg.ac.uk/items/show/117. 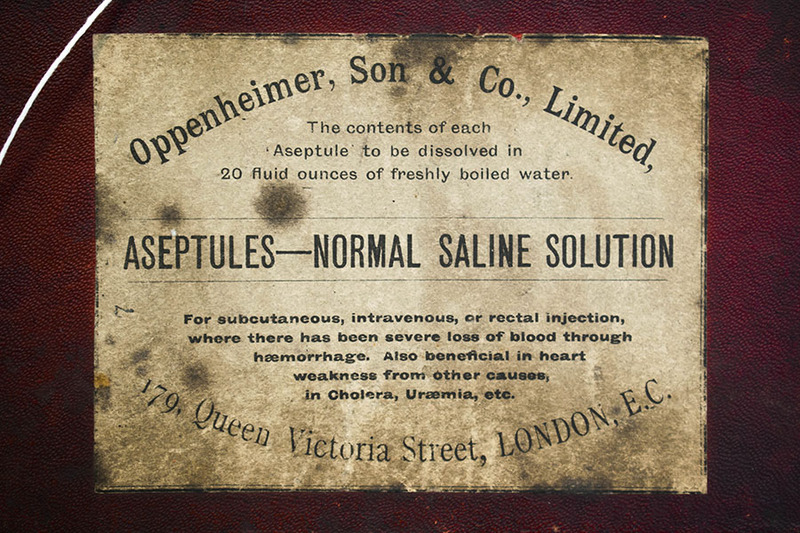 Creator: Oppenheimer Son & Co., Ltd.